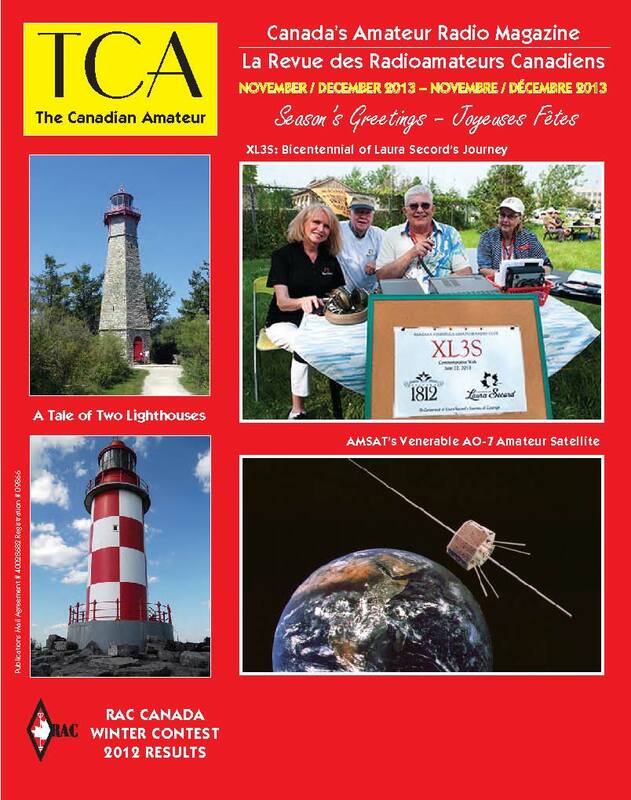 This article was published in TCA, The Canadian Amateur, Canada’s Amateur Radio Magazine, November/December 2013 edition. Copyright Vince d’Eon 2013. This article may not be reproduced without the author’s permission. If you like this article then check out part one and part three. As you read here and in the September-October 2013 issue of TCA, we had our hands full assisting the Town of High River, Alberta from June 20-22 2013 along with several other flood-affected communities in Southern Alberta. The Alberta Provincial ARES leadership team were in Calgary on July 27 2013 for a debrief meeting on the incident and develop ideas for our next callout. You can read a bit about that meeting. What follows is output from that meeting including a combination of things we did well, things requiring improvement, and the technologies we used to facilitate communications under extreme circumstances. While I hope you found the last article interesting, I trust you will find this article helpful for your teams when you get the call to help. It is said that Luck is what happens when Preparation meets Opportunity. In that case we were very lucky as we had a wide variety of knowledge and preparation among the members of the team. Here is a list of what we did well that made our job easier. We all stayed flexible. The teachings of ICS style management is that the radio communications function resides within the Logistics function. The reality is that the Emcomm operator more often than not interacts directly with the Incident Commander and needs to be highly flexible and adaptable to whatever the rapidly changing requirements are that moment. For example one moment I was passing traffic and the next I was helping the Town of High River assess a donation of 100 VHF handheld radios and repeater for the Town’s use. We leveraged known networks. As our span of communications was most of the Province, we used the SARA (Southern Alberta Repeater Association) as our main Provincial backbone. The Net Control position was located in Red Deer, halfway between Edmonton and Calgary, and the lead in that position had solid knowledge on how to operate and configure the network for optimal use. We had backup. We set up HF nets on both 40 and 80m in the event that the SARA network failed, and this allowed us to have operators that were geographically away from the affected areas thus not hampered by power or internet failures. This brings me to another point – plan on failure of your conventional networks, i.e. Internet and Telephone and know your pre-tested backup plans. In times like we experienced, the dominant cellular and landline provider’s network collapsed, and in neighboring towns cellular was so overloaded that even SMS would not get through. When all else fails, RF gets through was never more true than during this event. We had documented resources. Thanks to a solid ARES resource manual compiled by Curtis Bidulock VE6AEW, when we had to adapt to a new approach we had the resource guide to assist us. This was important for the Provincial communications and planning to bring on other communities such as Medicine Hat. We worked multiple frequencies to segregate traffic. We kept a Provincial frequency open to traffic only needed between municipalities. The locally affected areas ran their own nets with coordination to neighboring zones/nets. If I needed to request extra help in High River, I switched my VFO to the Calgary frequency and made a call. Ham Radio was the only mode of communications I had to rely upon in High River for the first 36 hours, and it was important we communicate between affected zones. That brings me to my next point, when the going gets tough everyone co-operated. There was no ego or pride from one group towards another. Egos were checked at the door and club politics were forgotten. We kept tabs on our team. Health and Welfare checks were performed regularly, some would refer to this as a Roll Call. This ensured we knew who we had deployed where and that they were still active (or awake on the overnight shifts) and well. I deployed two operators to critical locations such as the Hospitals, regional Emergency Operations Centres, etc. This ensured that there was always 100% coverage at all times and allowed the operators in those positions to be able to take breaks away from the stressful environment they were in. In cases where we had less experienced Emcomm operators, we paired them with more experienced Emcomm operators to provide training and increase the experience base among team members. There is always an opportunity to grow a team member’s skill! I divided the Net Control and staffing logistical functions away from the High River EOC. In any other callout I’ve done the EOC handles all traffic and scheduling of resources for shift coverage. For this event I split it away so that I could focus on the sheer amount of information we needed to handle. Our net control for the High River area was located some 25 km away on a stable power grid and with line of sight propagation to my location at the EOC; we could have worked simplex if repeaters failed. I will follow this approach again. Lastly, we followed a consistent use of tactical call signs that made sense to all operators on the Provincial net. This reduced confusion over which EOC we were speaking about (there were 4 on the air on various frequencies) and ensured traffic was passed efficiently and error-free. One thing that most people will agree upon is that our disasters are getting worse and more frequent. With that in mind we know we will be called upon again, and we will be better ready to go thanks to these planned improvements. One challenge that we have in the Province today is that the SARA backbone does not have connections to all of the areas that we supported. One idea we are looking into is a portable, frequency-agile linkable repeater, one that can be rapidly deployed and that is pre-programmed with the standard repeater matrix plus the allocated Provincial response frequencies. While HF Nets were a good backup to the VHF/UHF systems, the current frequencies in the ARES list are not suitable for local communications in Canada as they often lie in the phone portion of the US Band plan. While this approach has merit when communications are necessary to the USA, it is a problem especially as Field Day was in full swing during our callout. The recommendation is to consider more or different ARES HF frequencies, a matter for RAC Field Services. At the EOC level, we learned that a whiteboard is an essential resource to track things, as are the availability of markers and an eraser. Suffice it to say that markers and an eraser are going in my Go-Kit. Oh, as well as a clock that shows local 24 hour time – even though the EOC had one, it was helpful to know what time it was for logging information at the Radio Desk without trying to look halfway across the EOC at a clock. A smart phone doesn’t cut it for this duty as you are likely using it for more than one purpose anyway. One item (of many) we are looking into is dedicated equipment at our EOC in High River. As the military would say “two is one, one is none” when referring to redundant and critical systems. It will be essential that these radios are multi-band, the same model as each other, and come equipped not only with headphones but also an external speaker on an A/B style switch as well as a dedicated power supply per radio. The A/B switch makes it quick and easy to go between headphones and external speaker. For us sharing a room with others, keeping noise down was a priority and headphones were needed, but still there were times when a few of us had to listen in concurrently. We learned that in a very busy EOC the Radio Operators are so inundated with requests in the first 24 hours from the served agency that recollection of events can suffer. For example was I just asked to provide one or two operators to the evacuation centre an hour ago? It could prove helpful to have our own team’s scribe to capture events on paper when they are happening, and this also assists to making After Action Report writing much easier. We used a variety of technologies to support the affected areas. Telephone – while one of the landline and cellular provider’s service was offline, the other provider’s was up and operating in High River. However the same couldn’t be said for other areas. Our learning from this is that it’s helpful to not only know what deployed resources’ cell phone numbers are but also what network they are on. HF, VHF and UHF – we used them all. The SARA network is VHF with RF point to point links as well as internet. The entry points to the network are RF and internet. In the event that this network should have failed, we would have used our 40m and 80m phone operators already in place. We utilized the parts of the amateur radio spectrum that best suited our needs for each part of the territory we were working in. Analogue and Digital modes were used. HF used SSB, VHF and UHF used both FM and D-STAR via the XRF021B reflector in Toronto. Thanks to the FREE STAR reflector owner that dedicated a module for our use. Medicine Hat EOC connected in via a computer equipped with a dongle at one point. In the High River area, we were heavily reliant upon the fully-linked 2m network provided by the Foothills Amateur Radio Society for our coverage. Our active area for the callout was about 1,200 km2 of mostly flat terrain. We used 2m for simplex in-town and 70cm for EOC area coverage as we were all runners as well as operators. The Alberta ARES team wanted to share this with you so that our best practices can be adopted and adapted to your needs and circumstances. And, we’d like to hear from you about your team’s best practices. Send an email to the author (VE6LK at RAC dot CA) with your team’s comments.